You will also get tips from other mask users in the very active Private Facebook Group and the Public Support Forum, where you can discuss all things regarding Sleep Apnoea, CPAP, Ventilation + Snoring etc. Before addressing the causes of leaks, a special mention has to go to 2 products. Firstly, the Silent Night Mask Liners as these give such a positive experience for most mask users - both for mask leaks (whatever the cause) and also for face marks. Secondly, many people actually purchase the CPAP Moisture Therapy Cream solely for the reason in helping with mask leaks. Whilst it's benefits are primarily for hydrating the skin and healing damaged the skin, due to it's thicker consistency, people find that it can actually help create a better mask seal. Fitting Problems: Ensure the mask is correctly fitted, and for the masks we sell you'll usually find a video to help here on the website. For other manufacturers' masks you could search for a video online. Bear in mind if you are using an APAP or machine which varies pressures, the mask needs to have a good seal for the periods when the pressure will blow higher than when settling down to sleep. 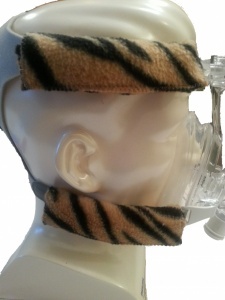 When fitting the mask, lay down and have the mask loosely attached to your face, and put the CPAP/APAP on the highest setting it has been set for you. Whilst the air is blowing, fasten the straps just enough to create a seal, making sure it's not too tight and not too loose. Turn your head from side to side to ensure no leaks occur. Cleaning: Daily cleaning of the mask cushion is so important, as any facial oils left on the mask cushion or nasal pillows can cause mask leaks. Contrary to what even some manufacturers and clinics advise, cleaning the masks in washing up detergents such as 'Fairy Liquid' is not adequate! The extra conditioners that 'leave hands soft' etc., eventually build up a residue film on the mask seal which in itself causes leaks. This is why I use the CPAP Mask Wipes every day and the Mask Spray once a week, and why most people, after having tried them, continue to use them. The wipes are big enough to be cut in half with most masks, for cost-effectiveness, and the spray lasts a long time! If you do use a dishwashing detergent, make sure it is a cheap unbranded one without all the extra additives claiming to give us 'soft hands' etc. They may be good for the hands (although that's debatable), but are NOT good for our masks! Baby wipes should be avoided, as they either contain lots of moisturising additives and often even alcohol (disguised in the ingredients list), and the ones that claim to contain no additives are, therefore, not strong enough to clean the masks and are no better than using plain water! Also avoid any anti-bacterials wipes or cleaners, which contain alcohol and other harmful additives. Sizing Issues: Have you got the correct size of mask? Yes, as hard as they try, sometimes our clinics can even get this wrong! Ordering a mask online without having tried it on is risky as they can't be exchanged due to hygiene issues once opened, and this is why we have provided mask templates wherever possible. We do our best to help people make good choices BEFORE purchase, so always ask for advice if you need it first! Trying on a mask in an upright position without the CPAP air blowing isn't ideal, so ask your clinic if you can try the mask in an elevated position attached to a machine. Nasal pillows can also be a problem, as not everyone has the same size nostrils, and there are many people that actually use different sizes in each nostril. Wrong Type of Mask? : Sometimes people find the air is leaking out of their mouths if they have been given a nasal or nasal pillows mask - especially if they are mouth breathers. In this case you will need to change to either a full face mask (one that covers both the nose and mouth) or add a Chinstrap to encourage the mouth to stay closed. Nasal breathing is always the healthier way to breathe when possible, and whilst some clinicians insist people can revert to nose breathing, believe me this is not always the case, and expecting people new to CPAP or ventilation to tolerate a mask AND change their breathing technique is a tall order! However, when people are used to wearing a mask, it is always worth trying to train yourself to nose breathe (an area I have failed in, although we now know it's not physically possible for me to nose breathe all night). Hose Dragging: Another issue which causes mask leaks is the hose dragging on the mask as it pulls and tugs when people move around in bed. Try to get the hose elevated above your head (which is also vital if using a humidifier to prevent 'rainout'). The best invention ever, in my opinion, for mask users is the CPAP Hose Lift for this purpose, and often this alone stops mask leaks for many people. Almost everyone who has bought this wonderful invention say what a different it makes, and it's my opinion it should be part of the package, ie mask, machine + hose lift! Sadly, here in the UK our NHS can't usually stretch to supplying comfort products as well as the masks and machines. Bed Pillow Problems: So often people don't realise that their own pillows can be the cause of mask leaks. For years manufacturers have pushed memory foam pillows, with newer ones claiming to stop making people feeling too hot. Bear in mind that sweating will also create mask leaks. Apart from this, lots of mask users find that memory foam isn't suitable with a mask, as they may allow an indent to cradle the head in, but the masks aren't heavy enough to create a groove for the mask to lay in, so memory foam pillows and other firm pillows can easily nudge the mask which causes leaks - especially for side sleepers. As well as leaks, this can actually cause mask marks (and even bruising) on the face if the mask ends up digging into our skin! You'll notice that we don't sell the shaped CPAP Pillows either, as whilst they can certainly help some people, the success rate isn't good for the majority of mask users. We actually used to sell these, but stopped when the feedback on them was only about 30-35%, as we only sell comfort products which have at least a 70% success rate for all people. I have personally tried 5 different CPAP pillows manufactured in the USA and 3 in the UK, and they didn't work for me! (You'd have thought I'd have learned my lesson after buying the first few, as they're not cheap either ). It depends on the length of a person's neck and what type of mask they are using as to a person's success with them. Of course, if you have spare cash it's worth trying though. 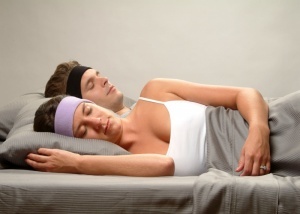 I personally prefer a softer pillow that I can scrunch up to give my neck support and it's better for side sleepers to try to get the mask to hang over the edge of the pillow. This works well for many people until they turn over in their sleep when the mask will end up in the middle of the pillow, so try placing the pillow lengthways so that it's narrower. Lots of people claim this works well, as when turning over in the night the mask, theoretically, should overhang on the opposite side of the pillow. If you do like a firm pillow, I would recommend a Buckwheat Hull Pillow which can be bought on Amazon, as you can make indents where the mask goes and they do stay in place well - plus they have other health benefits. Another tip is that many people find a silk or satin pillowcase helps to cut down on marks from the masks and headgear, and in fact satin pillows themselves are marketed for this purpose (anti-ageing) so it makes sense. Mask or Mask Cushions/Pillows May Need Replacing: With a good cleaning regime, a mask can last a good year, but there are times when they don't. The USA, incidentally, are advised to change their masks and parts far more frequently than us in the UK for some reason, but we are fortunate that we get our masks supplied by our NHS sleep clinics although they do not have an ever-ending pot of money. Clinics do give out a new mask each year, and most clinics are happy and able to supply them if the need arises earlier. People can buy their own mask and parts as well (without a prescription unless you live in the USA), and many people do this to help the clinics - plus they often like to have a spare mask or even a different style of mask to alternate with. Obviously, this isn't an option for everyone as the masks aren't cheap! If you feel your mask or mask parts need replacing, speak with your clinic, as if the mask is deteriorating this too could be the cause of leaks. Body Temperature: Our bodies do change temperature during the night and sometimes there is little we can do about it as this is part of our circadian rhythm. However, we can take some precautions like making sure the pillow, bedding and our nightwear are not of a material to cause us to sweat, which again is going to contribute towards mask leaks. Make sure the bedroom itself is of a comfortable temperature too. Also, certain foods and alcohol can raise the body temperature, so bear that in mind too. Night Creams + Moisturisers: It is strongly recommended NOT to use any night creams or other skin products, including cleansing wipes, after-shave and soap etc. A lot of these products can damage the mask seals, but are also a big cause of mask leaks. For people who do suffer dry skin and feel they need to use night creams for sleeping, then the CPAP Moisture Therapy Cream is safe to use, and as previously mentioned, some people even purchase this to cure leaks. KY Jelly also appears to be a solution for moisturising the skin and doesn't damage the masks, but the CPAP Moisture Therapy Cream also has healing properties for sores and other skin problems. It needs to be stressed that Vaseline or other products like petroleum jelly MUST NOT be used with the masks. Not only will it damage them, but it is UNSAFE FOR BREATHING and can even lead to lipid pneumonia! Of course, if people use the Silent Night Liners, then their usual creams can be used underneath the liners, assuming they are safe for breathing. 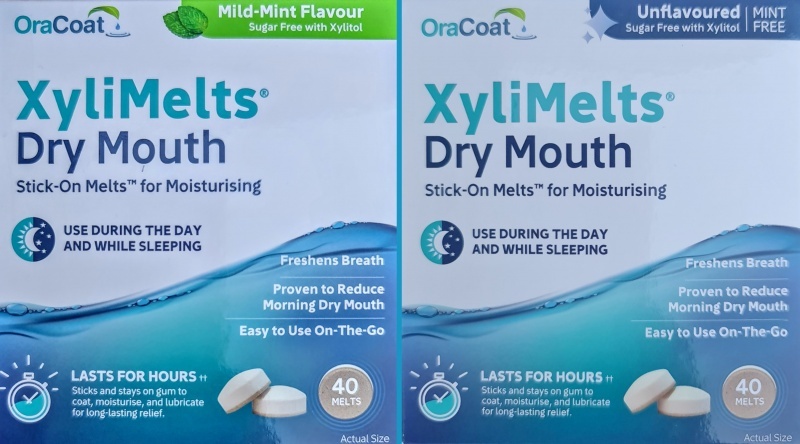 A CPAP Humidifier normally helps with this, which mostly your sleep clinic will provide here in the UK, but if you still have a dry mouth after experimenting with the precautions below, it would be worth trying the Xylimelts we have recently added to the shop. Also keep a bottle of water by your bed or a cup with a lid (saves spilling a glass of water near your machine), but only drink just enough water to wet your mouth, as drinking can cause you to inhale any liquid (or food) if taken too close to your sleep time and can aggravate acid reflux. Adding a humidifier to the CPAP or ventilator in most cases will help with dry mouth issues. Speak with your clinic as most are happy to supply these, and we do have some humidifiers for sale in the online shop. If you are using a nasal mask yet still mouth breathing whilst wearing it, this can cause the air to escape through the mouth and lead to a dry mouth (as well as compromising your therapy). Changing to a full face mask which covers the mouth is recommended, or there is also the option of wearing a chinstrap to encourage your mouth to stay closed. A small majority of full face mask users also find that, due to the fact they are free to open their mouths whilst sleeping without the air escaping, a dry mouth can still be an issue, so again the use of a chinstrap could help with this. Think about what you're eating and drinking during the day, as salty and spicy foods can be responsible for a dry mouth and so can alcohol. Try to drink more water during the day to keep hydrated. CPAP Hose Covers: When placed onto the hose the Fleece Hose Covers will give insulation to the cold hose, helping prevent the condensation. 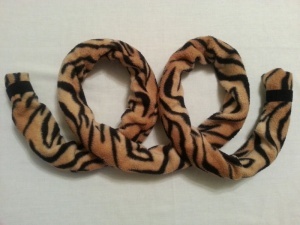 These come in different sizes and can be made to order if your size is not catered for. Do bear in mind that if you are using a mask that has an additional small slim tube attached to the mask, this will also need covering, and there are Mini Hose Covers especially for this - again in various sizes. Some hospitals do also supply heated hoses which can work well, although I have to say I find them a bit too hot, but many people do like them - especially in some countries with cold climates. 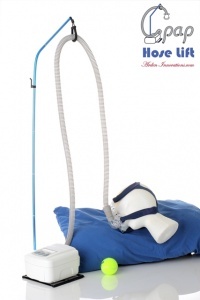 CPAP Hose Lift: The Hose Lift elevates the hose and any condensation should then drip back into the humidifier rather than ending up in the mask. (My own opinion on the Hose Lift, is that everybody should be issued with one, but unfortunately NHS funding does not stretch to products such as this). Tips: For people using a humidifier with their machines, the humidifier needs positioning below head height and the hose itself elevating, as any 'rainout' managing to sneak its way into the hose should, theoretically, fall back down into the humidifier, rather than ending up in the mask. Mask Cushion Marks: For marks from the mask cushions themselves, as already mentioned above, the Silent Night Mask Liners have come to the rescue for many people, for mask leaks, mask marks and greater comfort. The majority of people find they totally eliminate those dreaded face marks, and others say they improve them greatly so they're certainly worth a try! You can attempt to make your own from an old t-shirt (stretchy cotton) which I used to do for several years, but when these new Silent Night Liners came out, with the sticky tabs to secure them to the mask, I can honestly say, hand on heart, these are much better for me and most other people! 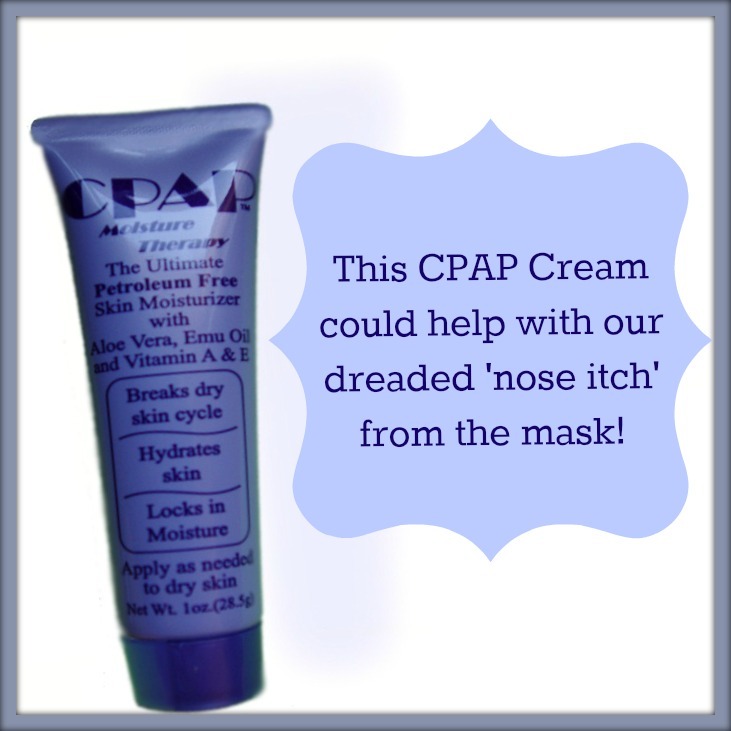 Many people use the CPAP Moisture Therapy Cream to moisturise their skin and help with marks from the cushion itself - an added bonus is many people find this can also help give a better mask seal due to its' thicker consistency, yet a tube of the cream lasts much longer than expected! The cream contains no substances that will damage the mask and is safe if inhaled. Please DO NOT use any creams which contain oils, alcohol, petroleum jelly, paraffin or mineral oil (many creams contain these substances in disguise). Not only can they damage the mask, but can also be unsafe if inhaled. Petroleum jelly-based products like Vaseline can cause an accumulation of the jelly into the lungs, leading to potentially serious inflammation such as Lipoid Pneumonia! Some people report what they believe are allergies causing rashes on their faces. However, masks these days are not made from latex and whilst silicone allergies are possible, it is much rarer for this to happen! Mostly, this is either a reaction to people not managing to clean off ALL facial oils from their masks (see under the Mask Leaks section for cleaning the masks) or it can actually be a skin reaction to whatever they're using to clean the mask cushions. Again both the Silent Night Mask Liners and CPAP Moisture Therapy Cream can also come to their rescue! Some people find they can manage with the Liquicell Cushions on their own to sort nasal bridge masks, but others use them underneath the Silent Night Liners for extra protection. 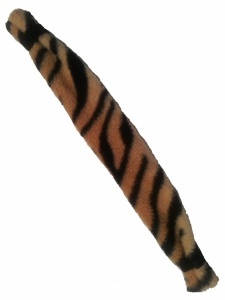 For marks made by the mask straps themselves, there are Mask Strap Covers available which come in either Single Fleece Strap Covers (for lighter marks or simply more comfort) or Double Fleece Strap Covers (for deeper marks). 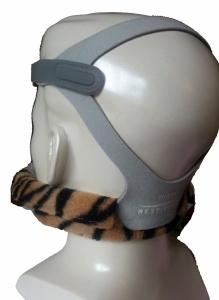 There are even Mask Neck Comfort Strap Covers available for those who get sores/pain at the back of the neck. At first the headgear may feel uncomfortable, which is mainly because we're not used to having to wear anything on our heads to sleep - let alone the mask on our faces! This should get easier with time. However, if the straps are too tight then it will be uncomfortable and can also cause morning headaches and neck pain, so make sure it's not fastened too tight - just enough to prevent leaks. Often when people use the Silent Night Liners, mentioned elsewhere in this article, they find that as the mask leakage improves, they can often slacken off the headgear. If the mask appears suitable, but the headgear is still a problem, see if your mask would be compatible to use with the alternative SoftCap Headgear. (I use this all the time with my FitLife mask and have also used it with many other masks, athough I can't get it to work with my Amara View mask). I personally find the SoftCaps more comfortable than any headgear that comes with the masks and purchase them myself. Another option would be if you have a different mask with headgear you prefer, check to see if it will work with the existing mask as often they will. As previously mentioned, the Mask Strap Covers also help make the headgear more comfortable, as the fleece covers are nice and soft against the skin. Assuming you have tried everything to avoid getting marks in the first place (like not over-tightening your straps and trying the products available, as unfortunately not every product works with every person), and you still have marks on your face - do not panic! At first sight after removing your mask the marks will be worse, but the majority of them will diminish fairly quickly, depending on your age and skin's elasticity. For any remaining marks, rub your skin with your fingers in circular movements to increase the blood flow and stretch the marked skin. Splash your face with cool water and pat dry with a towel. For further help it's now a good idea to moisturise your skin - perhaps even with the night cream you don't use now due to wearing the mask. You can even try skin plumping creams that are now widely available. Finally, you can use skin concealers and foundation, but choose powder based ones, as liquid ones can get into the creases and make the marks look worse! Remember to drink plenty of water during the day too, as this helps hydrate our skin! Sometime people complain the air is cold, but bear in mind the temperature of the air is taken from our own bedrooms, so think about whether you can raise the temperature of the room itself - perhaps even by just closing the window. Same goes for if it feels too warm - perhaps open the window or at least keep it open during the day. Adding a heated humidifier can also help when the air's too cold and remember the tips about on 'rainout' if you need to raise the temperature higher. Same goes for if you're too hot - see if you can lower the temperature. Putting a Hose Cover on the tube can also help warm up the air - as can the addition of a heated hose, but I have to say I find a heated hose a bit too warm, but these are very good in countries with extremely cold climates. Some people place their hose under the bed covers, but remember this can cause the mask to pull and tug on your face as you move, as mentioned under 'Hose Problems' above. Also lots of people end up getting tangled up in the hoses. This can be a problem at first when we're not used to the pressure for exhaling, but many of the machines have pressure relief features (EPR on Resmed, C-Flex on Respironics, Smart Flex on Devilbiss and SensAwake on Fisher & Paykel) so speak to your sleep clinic about this. However, if the problem persists or if you have any conditions like COPD, speak to the clinic who may be able to prescribe BiPAP, which has a lower exhale. It is NOT recommended to adjust your own pressures......remember these machines are prescription items for a reason and the pressure is part of the prescription. You will never hear Hope2Sleep recommending pressure changes, as it's like advising someone to take extra prescription medication. Always be guided by your sleep clinic on these issues, and most sleep clinics are very helpful in working with the patient. This is a subject that causes embarrassment to a lot of people, yet is really common, especially when new to CPAP and ventilation. Fortunately, for most people it passes in time, and I can remember being doubled up in pain in the early days in a morning, but it rarely happens now. Mask leaks can also cause this, or if you've been using a nasal mask and you open your mouth during sleep - in this case you will either need a full face mask or the addition of a Chin Strap. Nose bleeds are rare, but can happen when new to CPAP or ventilation, and for most people this does pass. The problem is more common with the nasal pillows style of masks. The first thing to try adding is a humidifier which sorts the problem for the majority of people, and a saline nose spray or gel from the chemist can help too. However, never hesitate in seeing your GP about this problem if it is persistent. Again, a humidifier for the CPAP or ventilator can help with this, but also make sure the filters in the back of the machine are up-to-date. Most of the machines have, not just the foam filter, but also additional disposable filters to catch the finer particles which can be a source of irritation. There are also the Bacteria Filters that have helped may people with allergies, sinus issues and asthma etc. They can be used with most brands of machines and some hospitals do give them out to children or COPD sufferers. If all the above fails, try a saline nose spray or a prescribed one from your GP. It is also worth considering getting a referral to an ENT consultant who sometimes can offer surgery. (I have had surgery on my turbinates and septum, and whilst it hasn't cured the sleep apnoea, it's certainly helped me breathe easier in the masks). Mind Over Matter (this worked to a degree for me, with literally trying to resist the 'itch'). It's not easy but worth trying. One of the best successes is putting the CPAP Moisture Therapy Cream onto the nose, inside the nostrils or affected skin but DO NOT rub it right into the skin - leave it wet. This will cut down on the fine hairs being blow by the pressure. The reason this particular cream is recommended is because it is safe if inhaled, will not damage the masks and shouldn't cause mask leaks (as stated elsewhere in this article). Some people find that keeping a straw near their bed or something similar so they can slide it inside the mask to address the 'itch' without completely losing the whole mask seal. However, if you choose this method PLEASE BE VERY CAREFUL as you don't want to be poking yourself in the eye with a straw! Another option would be to see if the nasal pillows style of masks would suit you better - something perhaps like the DreamWear or Nuance for nasal breathers or the Amara View for mouth breathers. This way, it cuts down hugely on the risk of the tickling sensation over the top of the nose. Some people do still experience this inside the nostrils, but the CPAP Moisture Therapy Cream can also be safely inserted into the nasal passages. It can be challenging at first drifting off to sleep with the mask on and air blowing - just like it's hard at first for children to tolerate teeth braces. This is another reason for practising using it during the day. Try not to go to bed until you're tired and ready for sleep. There are lots of things to do that will work for different people - for me personally, reading with the mask in place, worked for me. Use whatever method works well for you to help relax. Listening to relaxing music is a big hit with lots of people, and we've recently added the marvellous SleepPhones to the website. Many people have told us they wish they had been around when they were new to their machine and mask. These work well with the masks and people have found other surprising benefits, like helping with mask leaks and doubling up as sleep masks to block out the light. Of course, they also block out the sound of the machine, for people extra sensitive to noise. They are one of the few products we sell which are suitable for people who don't suffer sleep disordered breathing and need to wear a mask - my son stole my first one and hubby the 2nd pair (he uses them when gardening too) - so I finally bought myself the wireless version and NOBODY is stealing these from me . I love everything about the Kindles, and the most important feature for people who have to wear a CPAP mask without their glasses is the fact that the font sizes go unbelievably large, and there are so many different font sizes to choose from. Buying books is really easy, unlike some of the other e-readers I'd tried, where I had to download them to my computer first. You can choose your book on the Kindle, purchase it, yes again on the Kindle, and Voila...... your new book arrives directly onto the Kindle via the wireless connection. You can also buy a 4G version so that no matter where you are, you can purchase your next book and don't have to plan ahead. I have bought books whilst travelling on a train and also in Spain on a beach! Can you tell I'm a total convert? Apart from helping me read with the CPAP mask on, my Kindle can hold thousands of books, so no more packing loads of paperbacks in my suitcase for holidays. After all, we need as much space in our cases for our machine, masks and accessories. I would never dream of not taking my ventilator with me, as I aim to enjoy every minute of my holidays and not struggle with exhaustion on them! Some people like the e-readers that can audibly read to them. This doesn't work for me, but I know many people who love this. I don't think the Kindles have this feature anymore, but am sure there are other e-readers out there that do. The Kindle I use is the Paper White latest version, because it now includes a backlight, which means I can read without the bedside lamp disturbing my husband. This to me is the best Kindle ever made! I haven't actually researched whether having the backlight on a Kindle is good for our eyes (like the Kindles without the backlight are), but quite honestly I don't intend to, because it works well for me, and if we read about everything that isn't good for us we'd be worried about doing anything! Obviously, we can't get away with everything, but most of us have enough common sense to look after ourselves. I hope this helps, and you can use this link below to go directly to Amazon to buy or review the Kindle (and it's an affiliate link so if you are thinking of purchasing one, using the link will help give a few pence towards our Charity - and every little helps thank you). I do hope some of these tips help, and as new products come out and new ideas come to light I will edit this article. Who knows....one day we may not need this kind of help if a cure for our problem comes along in the future If this ever happens, you can guarantee I'll be the first one to shout about it so keep in touch! Best Wishes for Safe Comfortable Sleep.